Sklar Wilton > Blog > Build Successful Innovation > Cupcakes are out, Whoopie Pies are in! A group of colleagues enjoying a leisurely lunch in the staff kitchen. We all start talking about something like the last episode of Modern Family or Glee. Then, I remember that I wanted to tell everyone about the amazing whoopie pies I saw at a bakery on my way home from work. I’m looking for a glimmer of recognition amongst the blank stares. This seems to happen frequently when I speak. I go on to explain that whoopie pies are the new cupcake. And why not? They have a rich and creamy filling, with endless flavour possibilities, between two moist cookie/cake hybrids. Gingerbread with lemon pie filling anyone? Just delightful! They are popping up in local bakeries and are all over the Food Network. I told them about Top Chef: Just Desserts cheftestant Heather C’s regret at not making a whoopie pie in the episode she was eliminated. Even Starbucks is in on whoopie pies. 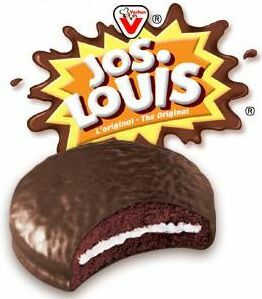 “Well, they are kind of like a Joe Louis, but with more filling and no coating” I tried explaining. That seemed to do it. The resounding “Ahhhh”’s of recognition and a promise to go try some soon follows. By this time it is suggested that I should blog about all the things I get blank stares for during our lunchtime talks. So, every month I will make it my business (and pleasure) to let you in on what’s new, what’s around, and most importantly, what’s awesome. When I’m in the know, you’ll be in the know. So for now, go and find a delicious whoopie pie at your local artisanal bakery (or Starbucks) and reply with what your favourite flavour combination is.